These digital streaming videos are all now available for purchase through http://www.lybrary.com/. An exclusive: never before available anywhere, a new release as of July 2015. Yanked, Vigilante, Flashjacks, and Grand Slam are four routines you'll want to immediately add to your working repertoire. 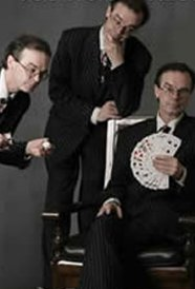 It is fun, memorable, amazing Magic that you'll enjoy performing anytime, anywhere . 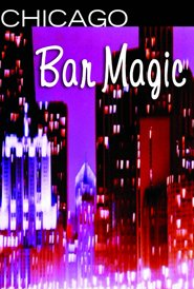 . . magic that is sure to delight any audience. Performed and taught by Terry LaGerould: available now at a ridiculously low bargain price of under twenty dollars US as well: under two dollars per routine. In "Sessions with Terry LaGerould" Number One, you'll learn several memorable routines that you'll immediately want to perform. Their strength is undeniable, the amazement is self-evident, and Terry shows you how to truly entertain rather than just doing tricks. The fully included Die-Lirious routine has been a standing ovation level routine for Terry and it can be the same for you. 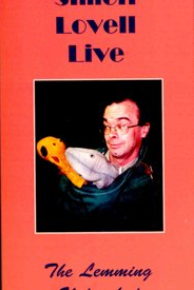 In this, the first part of Simon's accoladed three volume video package, we begin with "The Wobbly Wombat Set." This is full blown, non-stop unrehearsed action, where the audience and the magic are both the real deal. 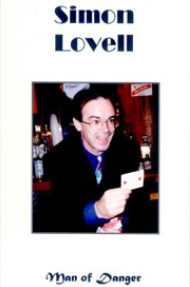 Included are sterling performances of Simon's latest and greatest handlings of "Fingered Number Three," "Card To Wallet," "The Lemming Ace Exchange," and Simon's stunning multiple selection routine: "The Wobbly Wombat." The performance is spiced with gags and bits of business too numerous to mention. The audience reaction will make you a true believer in Simon's high-impact, baffling creations: all performed and explained in detail by Simon Lovell. In this final volume, we begin with the "Packed Wallet Set." As before, Simon begins with the spontaneous magic and audience interaction as only he can do. 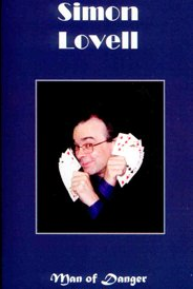 Included are striking performances of "Lovey Dovey Sandwich","Elmsley Cut Elmsley," "The Packed Wallet," and Simon's show-stopping story deck routine, "Who Killed Lilly Longlegs?" On all three volumes, after the performances we sneak away to the sanctuary of Bat Cave Studios where Simon breaks down all the performing details and tips the real work. Then, in a new analysis session, Simon gives you the why, the reasoning behind everything just witnessed. Finally, Simon returns to live performance for more fun and amazement. Simon Lovell: Man of Danger is a video series that no lover of strong, commercial, performable magic should be without! You will laugh, you will learn and your magic will become more powerful. Remastered from the original digital footage, this is the substantially improved quality compared to the original VHS product. It is Simon Lovell at his magical best. 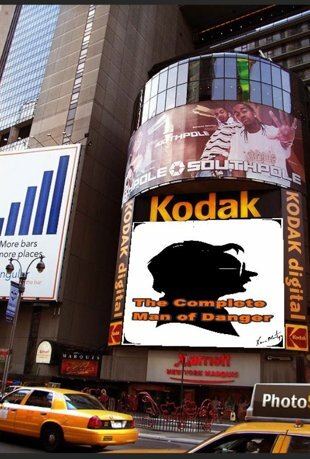 All three Simon Lovell "Man of Danger" videos bundled together at a bargain price. this is Simon Lovell offering extremely strong routines certain to delight any audience . . . performed and explained. This is your chance to grab a front row seat for the whole Simon "Strange & Unusual Hobbies" show, filmed at the Soho Playhouse in New York City. This has never been available before, anywhere, in any format. 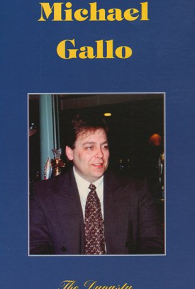 Simon Lovell Live "The Lemming Unleashed"
Mike Gallo "The Dynasty Continues"
Mike Gallo has developed some of the most memorable coin and close-up routines available. This tape proves it! This is mind-melting close-up, performed before an impromptu audience then taught by Mike Gallo in detail. Performed by Randy Wakeman before random, live audiences . . . then explained and taught in full detail. 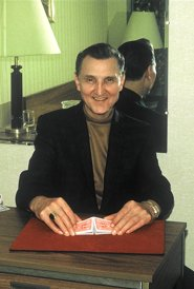 Over the 1950s, 1960's, and through the 1970’s a brand of bold and direct close-up magic was developed in Chicago, Illinois. These effects were known for simplicity, clarity, and strength of effect, and the POWERFUL response they elicited. 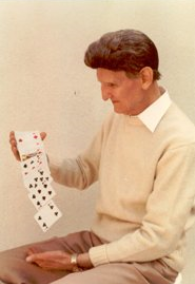 Chicago magical legends Don Alan, "Heba Haba Al" Andrucci, "Senator" Clarke Crandall, Frank Everhart, Jack Murray, Johnny Paul, James Patrick Ryan, and Matt Schulien forged their reputations with these effects, and now you can too. While these quick, direct, simple, baffling effects delighted Chicago audiences for decades, they were far less widely known and practiced outside of Chicago nightlife venues. Many of these terrifically effective pieces have evaporated into the ether, for no other reason than they are not the "latest." 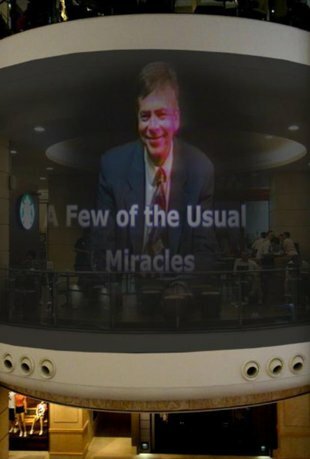 To say that you could make your living performing these eternal impossibilities is beyond dispute. Many of our most talented trailblazers have done precisely that! NOW'S YOUR CHANCE! 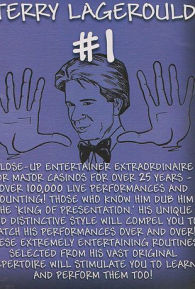 If you're just getting your feet wet in close-up entertainment, let this information serve as a springboard for mastering quality magic. If you're a close-up veteran, you'll find yourself wondering why you aren't performing these gems regularly. It's our suspicion that you soon will be! All are performed before impromptu audiences, and clearly taught so that you can perform these treasures with unprepared objects in no time flat! Some SIXTY complete routines are performed and explained! As far from a "one trick wonder" type offering as can be imagined, when you get the series you are just paying just one dollar and thirty-five cents per routine. This is the complete set of all four vintage Randy Wakeman instructional videos. now available streaming for the very first time. It includes performances and thorough explanations of most of the pieces from Randy's first trilogy of books (Formula One Close-up, Randy Wakeman's Special Effects, Randy Wakeman Presents), Randy's Linking Ring Parade, Randy's Genii issue, Randy's one-man issue of Harry Lorayne's Apocalypse . . . and much, much, much more. Originally selling for over $150 on VHS, you can now get them all right here for a mere fraction of the original price when you buy the complete series. It is a huge amount of material, memorable close-up you'll enjoy performing . . . and your audiences will love watching! This is well over 6 hours of performance and instruction. No details are left out. 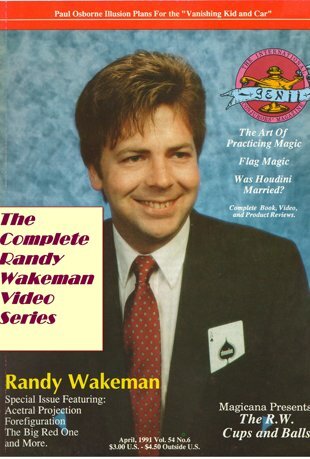 In this vintage & somewhat wacky video, Randy Wakeman demonstrates and explains in great detail his work with "Small Packet Ambitious," "The Visitor," the Rainbow Deck, Tom Gagnon's Impromptu Haunted Deck, Gagnon's "LBD Aces," and much, much more. 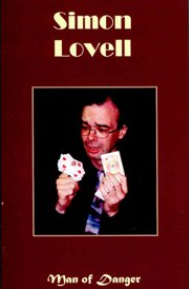 An important historical video, the only live lecture video of the Cardician himself, Edward Marlo, ever released. As an included no extra cost bonus, the entire video production is also restored in monochrome, which may be more enjoyable for you when viewed in HD. You get both editions complete, so the choice is yours. Watch the master as he goes through advanced dealing and pass techniques, as only Eddie could! 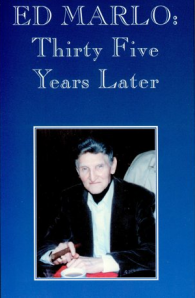 Exclusive, historical footage is now available in a digital format for the first time for serious card workers everywhere. 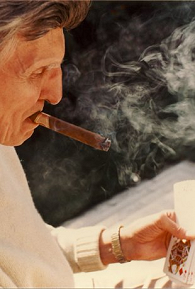 A wonderful look at the life and times of Ed Marlo, with vintage, rare, underground footage. Called "one of the most important tapes of the Millennium" by Matt Field, this tape lets you get to know the real Ed Marlo! 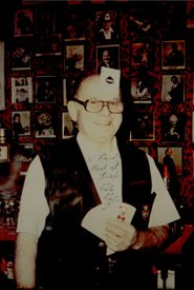 The only videotape ever released of one of Chicago's most beloved bartender/magicians, the "Great Heba Haba." Website & contents © 2017 Randy Wakeman. All rights reserved.